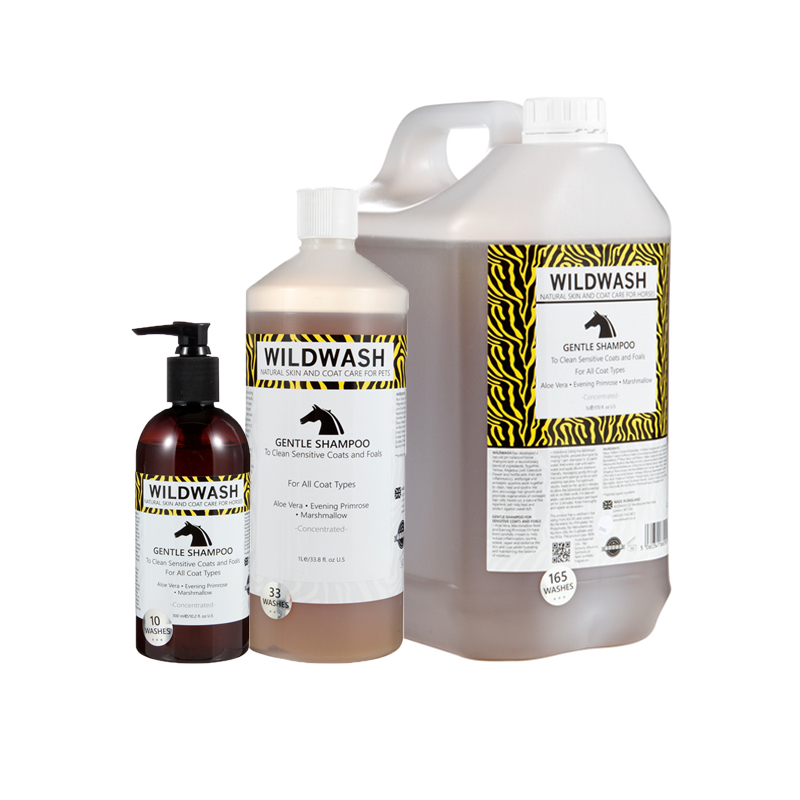 WildWash Horse Shampoo For All Coat Types. Specifically formulated for Sensitive coats & foals. Gentle Shampoo for Sensitive Coats and Foals – Aloe Vera, Marshmallow Root and Evening Primrose oil have been carefully chosen to help reduce inflammation, soothe, relieve, repair and revitalize the skin and coat whilst hydrating and maintaining the balance of moisture.